I've been an online writer for over four years. My articles often focus on the arts, including tattoos. 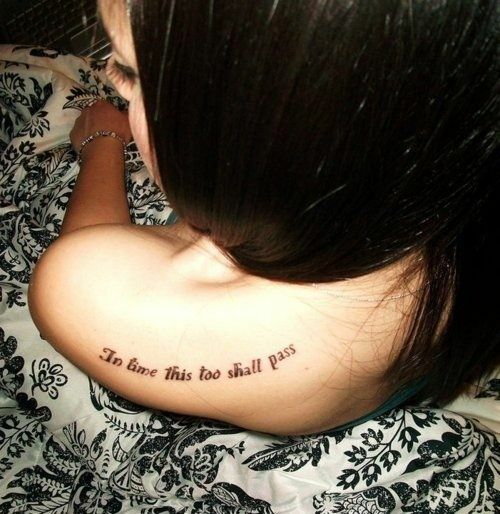 Quote tattoos are popular and look great on anyone, male or female. Here are some ideas and advice for you, plus my personal opinions and experience. Assuming you know what you want your tattoo to say and what it means to you, and that you are of age to get a tattoo (which may vary depending on where you live), other questions need to be resolved. What will the text look like (font and style)? 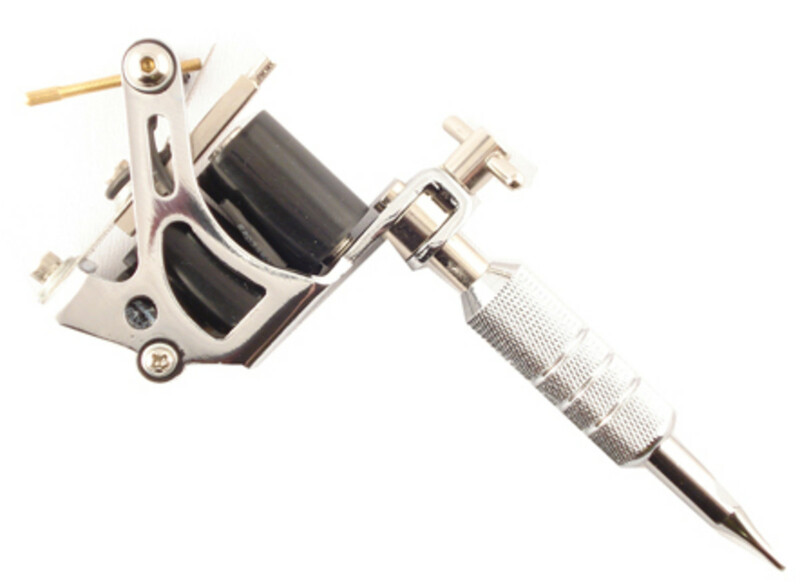 Make sure that you are getting your tattoo done by professionals. 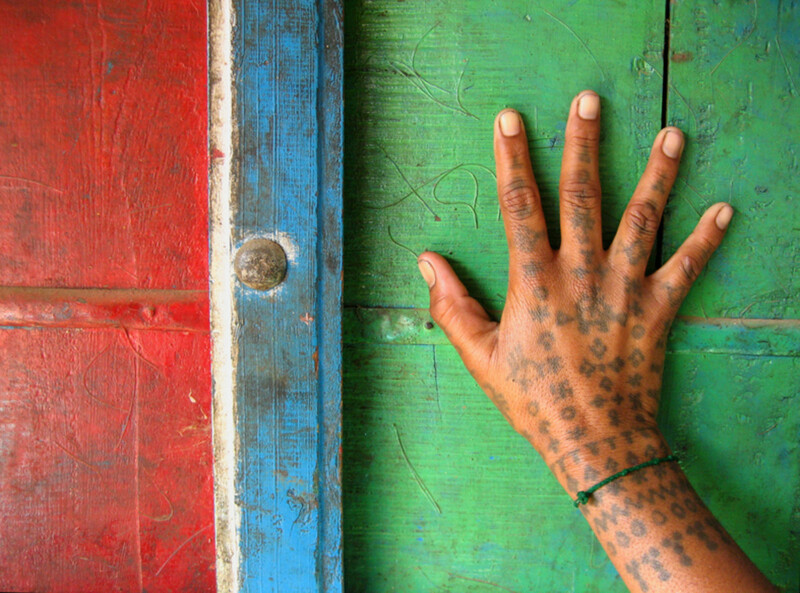 When getting a tattoo, you don't want to go cheap. As the saying goes, "You get what you pay for," so do your research and ask around. If you want the best tattoo artist, or if you like a particular tattoo artist's work, then you might consider traveling out of state. The tattoo's location is also yours to decide. Who is going to see it and when? Take a look at a couple of these pictures. 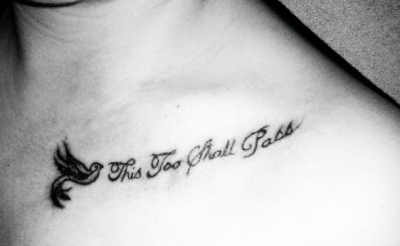 Collarbone tattoo: "This Too Shall Pass"
This is one of my favorite tattoo locations (low down under the collarbone). For those who don't want their tattoos to be seen by everyone, for example parents or teachers, this location is great for a tattoo because it can be hidden behind a shirt or revealed by an off-the-shoulder top. Tattoos can be purposely done with the words BACKWARDS, so when you look in the mirror, you will be able to read it back to yourself as a reminder and reflect about your life. 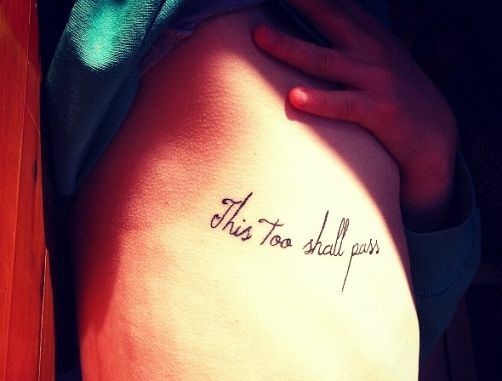 "This too shall pass" is something I always say to myself when things get hard. 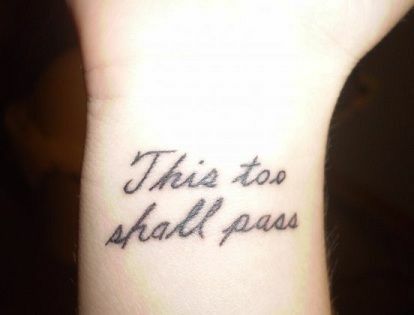 It is on my forearm facing me as a reminder to always be calm and embrace the struggle. Not Yet Ready To Get A Tattoo? - Sharpie to the Rescue! If you don't seem completely ready to get a quote tattooed on yourself, consider drawing on yourself with a black sharpie marker! This is what I did for one week before I made my decision. I wrote the words on different locations of my body until I was fully satisfied about where to place my tattoo. If you write on yourself with a Sharpie and you don't like it, you can easily wash it off with soap and water, whereas removing a tattoo requires laser removal treatments. Which cost money! Now if you want to incorporate your quote into a piece that you already have on your body, then it is best that you talk it over with your tattoo artist. 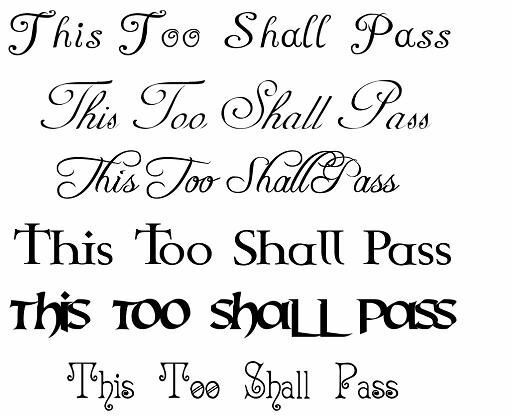 Here are some fonts you could choose for your "this too shall pass" tattoo. When choosing a font, make sure you look at all the different types: cursive, regular, or in-between. If you want more font options you can also ask your tattoo artist for some samples. They are more than happy to help you with this. 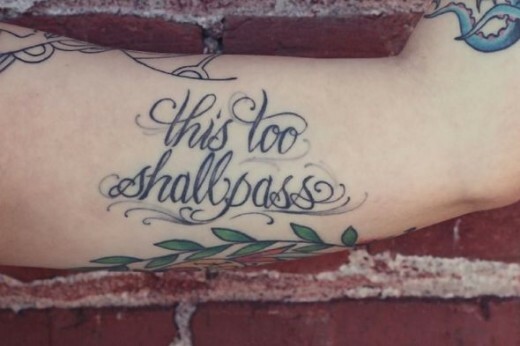 Do not feel stupid for asking as many questions as you want, and requesting a font that's smaller, larger, more spaced-out, or whatever you want, because it is going to be YOUR tattoo. My tattoo artist was really helpful. 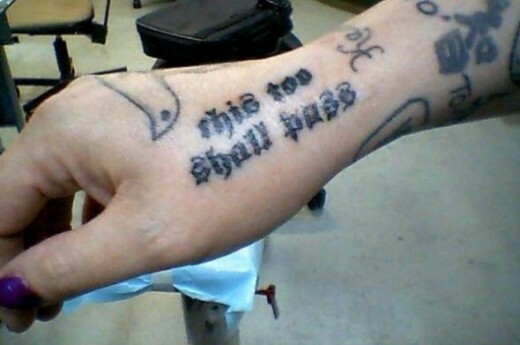 He showed me "this too shall pass" in seven different fonts. I'm very picky. I looked to see if the O in the word "too" was connected, and I looked at the S to see if I liked it (there are three S's). What I am trying to say is, just look at everything thoroughly before you make your final font decision. Don't feel rushed to choose a font right away: maybe sleep on it, or hold off getting your tattoo until you are 101% sure that it is the font you want. 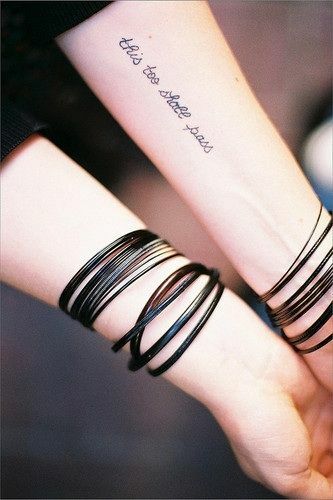 I believe this is one of Freja Beha's tattoos. The font size is small, and some of the letters are a bit cursive, yet it's cute because it has this kid-handwriting effect to it. I don't know this font's name, but I did see this choice among the styles my artist showed me. If you really want this font (or any other), why not print a picture of it and show it to your artist; showing someone a font is way easier than explaining it, and it's better to get exactly what you want than something you regret. This is the same concept as when getting a new haircut; bring a picture of exactly what you want done and show it to the person. 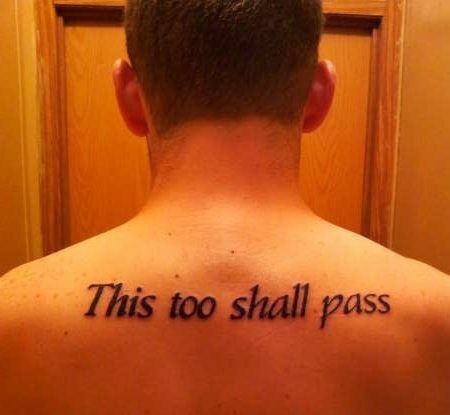 Before getting a tattoo with words, consider whether you want capital letters or periods, things like that. 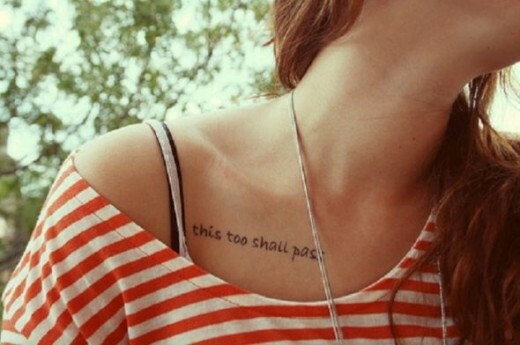 This tattoo starts with a capital 'T' but it doesn't have a period—which just bugs me a lot! 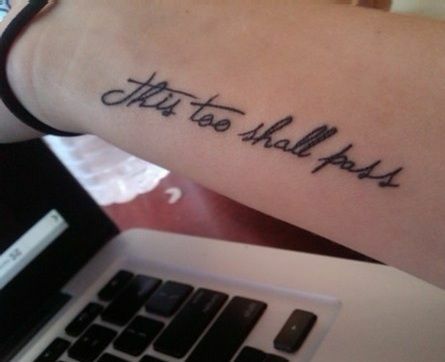 On September 13, 2012, I got my very first tattoo: "This too shall pass," all in lower-case letters, on the inside of my right arm. My tattoo took about 32 minutes to finish. I paid $100 for it. My threshold for pain is, hmm, well I CAN handle pain. Plus needles don't scare me so I was fine. No, it did not hurt. About 20 minutes or so into the tattooing process, my hand did start to become numb and sweaty. Overall, it was all right. It wasn't bad. I do know for a fact that I'll get more tattoos in the future. Me signing the contract. Yay! I was so excited! My tattoo took less than two weeks to heal completely. In this photo, my tattoo was still healing, so you can see a bit of peeling, which is normal. 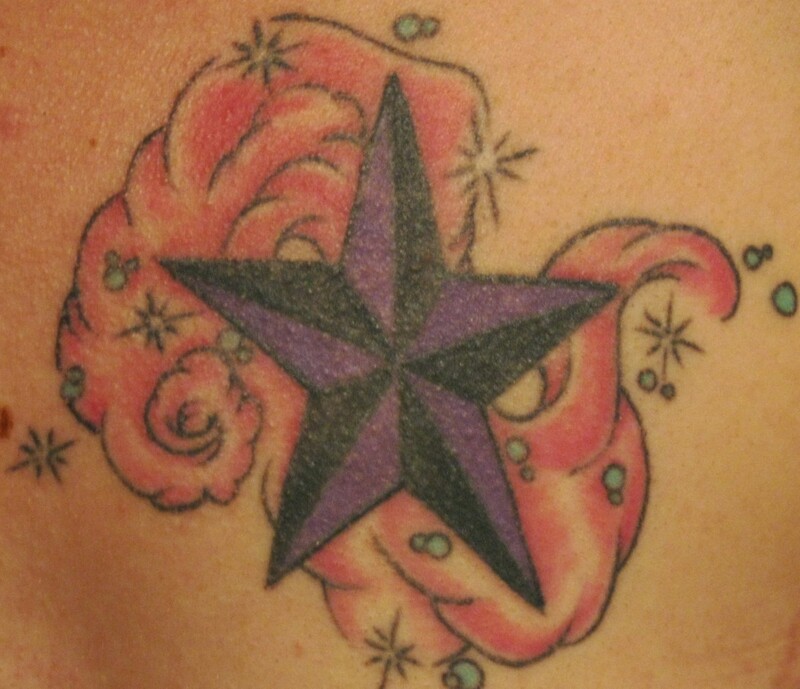 After the tattoo healed, it looked beautiful, and the color (black) looked more vibrant. I am happy with the results, but I might touch it up in the future, for example by making the letters more cursive-like. Don't be lazy. Take care of your NEW tattoo! The healing process will take days, but the results are worth it. Do not take baths or long showers and avoid swimming too. Avoid hot tubs, public pools, or any body of water. Do not soak your new tattoo in water while in the shower. Avoid direct sunlight, tanning beds, tanning oils, and scented lotions. 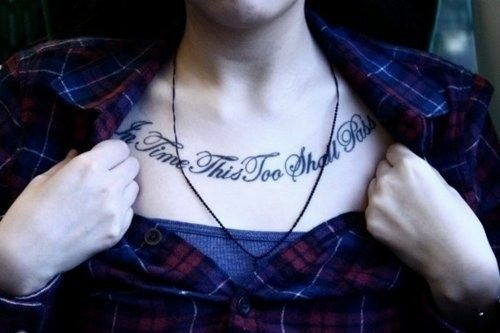 Avoid wearing tight clothes or anything restricting that may irritate the tattoo. Do not use Vaseline as an ointment on your tattoos. Vaseline will make your tattoo lose its color. 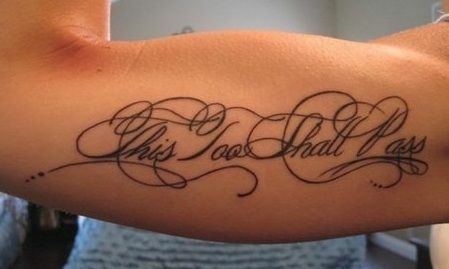 Instead, use an ointment with vitamins A and D.
Also do not scratch or pick at your new tattoo. It is normal for a new tattoo to flake and shed. 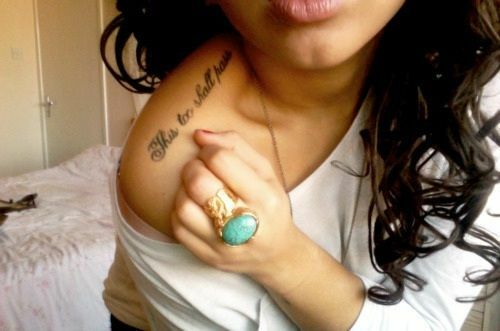 Remember that a new tattoo is a scar; it needs to flake, shed, and peel on its own in order to heal. Healing your new tattoo might require a few changes to your lifestyle and schedule. Depending on the location of your new tattoo, you might change the way you normally sleep, and you might change your habits to avoid too much sun exposure on that skin area. Get your new tattoo when you know you are going to have some time off work, school or sports; maybe during a vacation or break. I only say this because it will be easier to take care of your new tattoo. It can be a hassle to have to change your clothes a lot, hide your tattoo, carry the ointment with you wherever you go, find time to wash and reapply the ointment, and shower. I got my tattoo done during summer break, where I just stayed home all day with the air conditioner on, wearing tank tops and shorts, and never had to hide my tattoo while it was healing. I cannot stress enough how important it is to take care of your new tattoo. 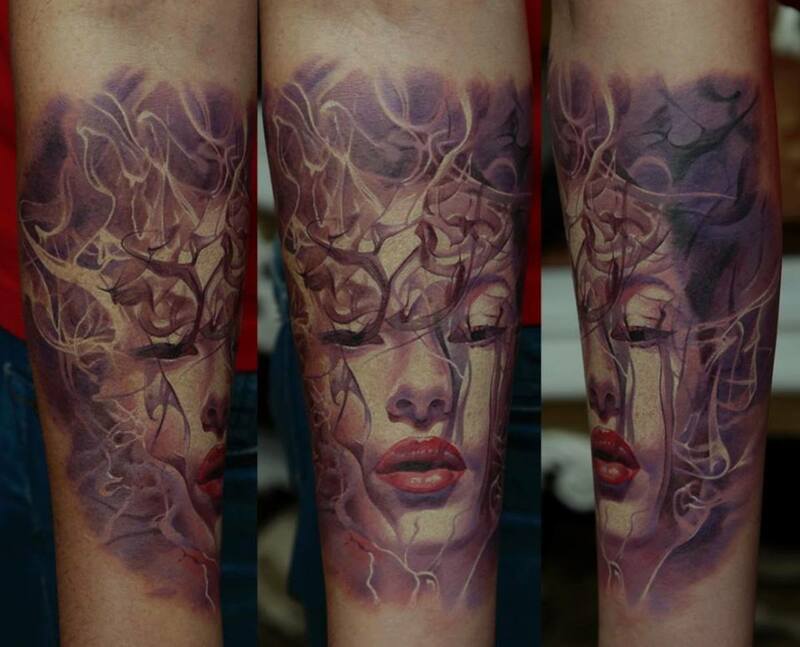 If you do not take care of your new tattoo and the result comes out to be horrible, do not blame the tattoo artist. Blame your lazy self. 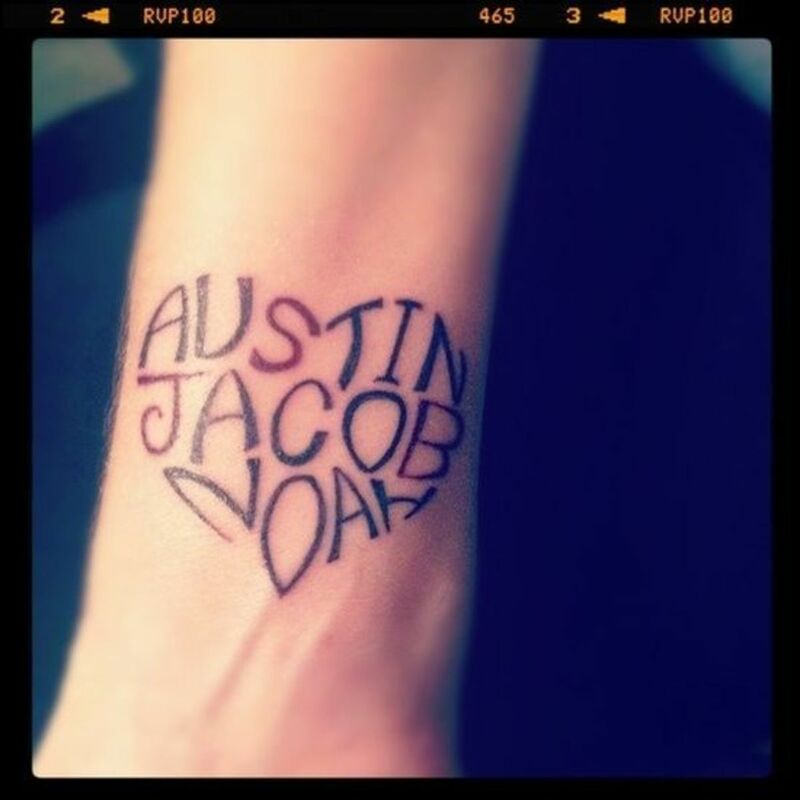 On fingers; not sure if this is tattooed or written with a pen. 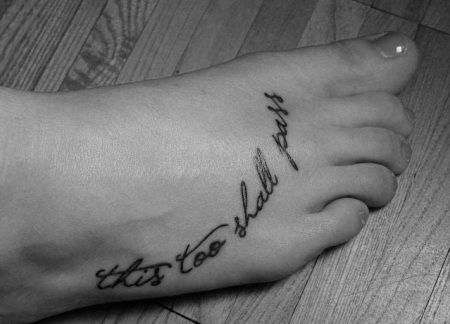 The foot is a perfect location to put a "this too shall pass" tattoo as it symbolizes taking steps forward. 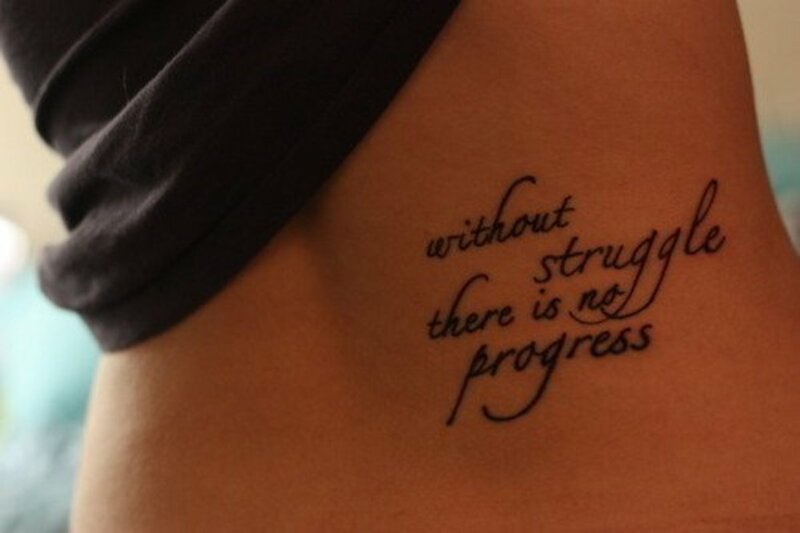 Consider adding birds, leaves, swirls, music notes, horoscope signs or other decoration to your quote tattoo. 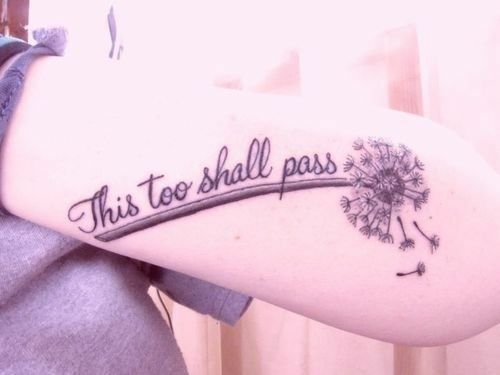 "The dandelion reminds me of my childhood and wishing so hard on those. The three poofs that aren't attached represent my mom, dad, and sister and how my move to Oregon is part of me letting them go and actually doing something on my own. 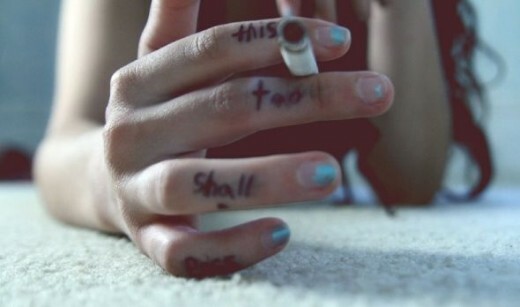 "This too shall pass": I love this quote." "Once you have a tattoo, it becomes like a freckle or birthmark. You have always had them and you never really think about it. It's only when someone asks about it that you even notice it." Wisdom for Solomon: "This Too Shall Pass"
One day Solomon decided to humble Benaiah ben Yehoyada, his most trusted minister. He said to him, "Benaiah, there is a certain ring that I want you to bring to me. I wish to wear it for Sukkot." (Sukkot is the seven-day Jewish festival that begins on the fifth day after Yom Kippur.) "That gives you six months to find it." "It has magic powers," answered the king. "If a happy man looks at it, he becomes sad, and if a sad man looks at it, he becomes happy." Solomon knew that no such ring existed in the world, but he wished to give his minister a little taste of humility. Spring passed and then summer, and still Benaiah had no idea where he could find the ring. On the night before Sukkot, he decided to take a walk in one of the poorest quarters of Jerusalem. He passed by a merchant who had begun to set out the day's wares on a shabby carpet. "Have you by any chance heard of a magic ring that makes the happy wearer forget his joy and the broken-hearted wearer forget his sorrows?" asked Benaiah. That night the entire city welcomed the holiday of Sukkot with great festivity. "Well, my friend," said Solomon, "have you found what I sent you after?" All the ministers laughed and Solomon himself smiled. To everyone's surprise, Benaiah held up a small gold ring and declared, "Here it is, your majesty!" As soon as Solomon read the inscription, the smile vanished from his face. The jeweler had written three Hebrew letters on the gold band: "gimel, zayin, yud", which began the words "Gam zeh ya'avor"—"This too shall pass." I hope this helped and I hope your tattoo turns out fabulous. Have a beautiful day! I have more than a few tattoos, but no words. Good thing they have stencils in case the tattoo artist has bad handwriting; you know? You're definitely braver than I am. 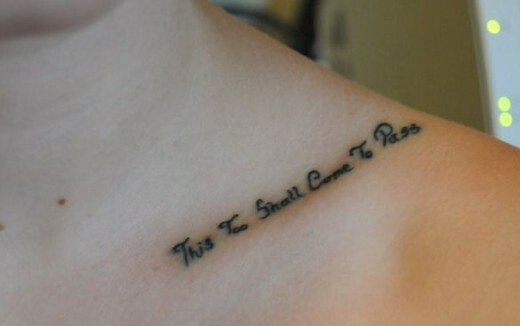 If I ever got a tattoo, it would be *very small* for sure! :) I do like the phrase, though, and think it's a good message to be reminded of on a regular basis. I am still thinking for my next piece, I have on kinda huge piece on my back at the upper right. I am thinking if I want a full sleeve or half sleeve. Great lens. Blessed. 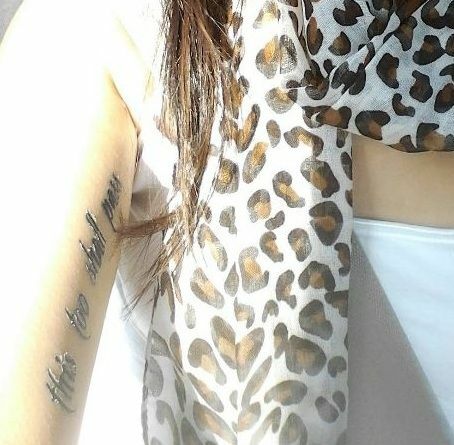 I love my tattoos, I hate that I don't have more cash to spend on them. Some of mine are 16 years old, still very much in love with them but you have a good message. 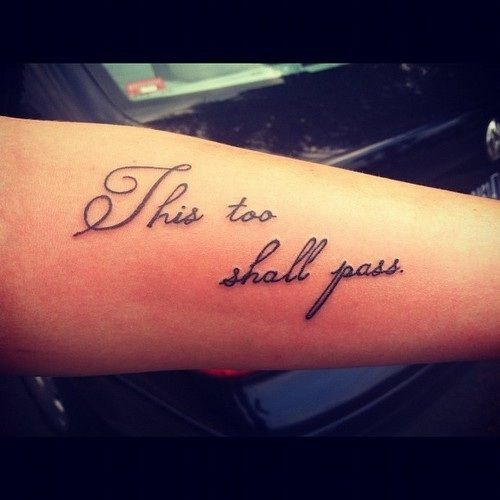 This too shall pass, i really like it. Thanks for all the nice pics of variations of it. Cool Lens! 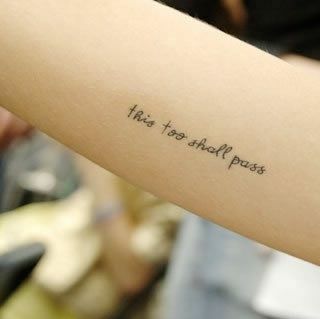 This too shall pass - such an important concept to remember at difficult times in life. @BrandonJames926: Thank you so much! :) I really appreciate it.